Editor’s note: Check out the table below for the best Google Seller rating companies that can be found out there! Disclaimer: We are affiliates of some of the companies that are mentioned in this article. We may, therefore, get paid should you sign up using our links. However, this article is based on real data from real customers. Show you some of the best online review companies to get you Seller Ratings. Give you a complete list of the companies that will get you Seller Ratings. 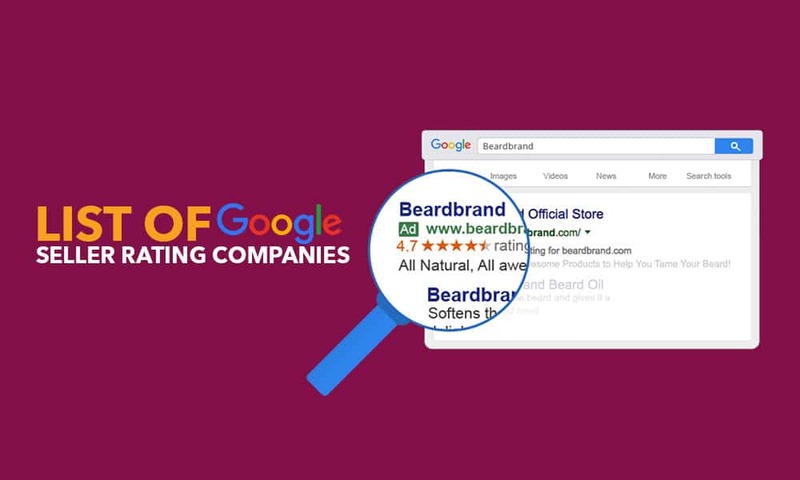 Give you a summary of the top 4 Google Seller Ratings companies. People don’t ask their neighbor or friends for recommendations anymore. Today people look at online reviews before making a purchase. Think about it. Do you buy products from Amazon that have no reviews? I don’t! Why should you treat your site any different. Getting reviews to display on Google Ads will most likely increase your CTR, lower your CPC, and increase conversions. Over the years, I have helped many of my clients sign up with a number of 33 companies that appear in this post. I made a list of them below in a table. There are about 7 out of 33 that I work with (or send business to). All the others are in non-English languages. 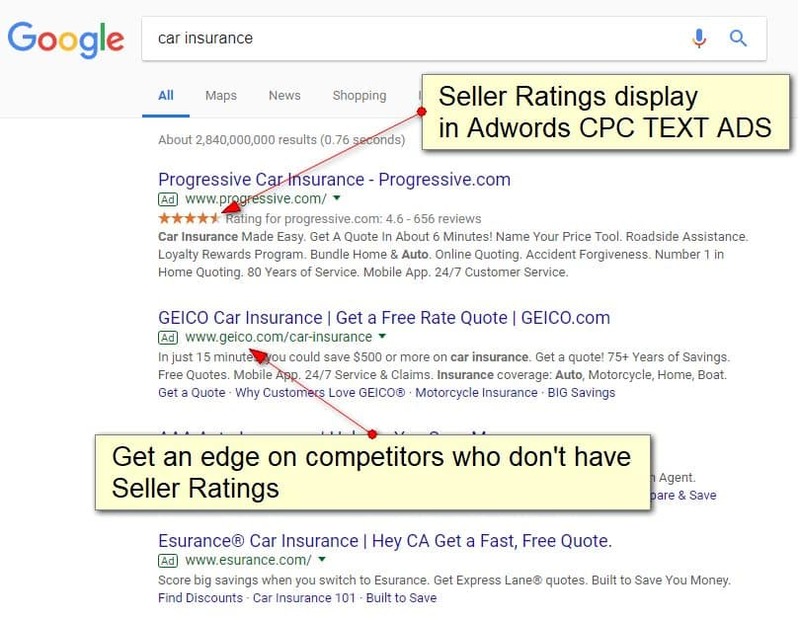 Here is the full list of all 33 Seller Ratings companies that are licensed by Google to syndicate reviews into your Google Ads CPC text ads (Adwords). (This is a shopper network. If you don’t sell through retail channels, don’t bother). eKomi (Awesome company based out of UK and Los Angeles, California. If you want a demo, go here. Ask for a demo from Michael (the owner) and tell him Francisco from Planet Marketing sent you). Sitejabber Business Google added Sitejabber Feb 2019. This company has been around since 2008! They have over 2.5 million unique visitors per month. Planet Marketing has been sending business to Shopper Approved since 2014. Shopper Approved is great for small service based and ecommerce businesses. It’s even good for “Mom and Pop” companies. They are the cheapest one too. Since they are not backed by any venture capital, they do not have crazy pricing. Shopper Approved is a family owned company (Brandley family out of Utah) with no outside investment. If you go directly to the Shopper Approved website, you’ll see their plans start at $99 per month for up to 2000 accumulated ratings and reviews. Product Reviews also start at $99. Get a 60 day FREE trial! Once the trial is over, you pay $79/mo (not the $99/mo). Get the amazing Planet Marketing offer! We, at Planet Marketing, have negotiated great deals for you from Shopper Approved. You are unlikely to come across these kinds of amazing deals anywhere else. Seller Reviews: These are important for those who sell their goods and services online. Shopper Approved helps you display these in a number of strategic online places, including on Google AdWords, Bing and Yahoo Ad Networks. Product Reviews: Shopper Approved is also one of the few companies that are approved to push Product Reviews into Product Listing Ads (PLAs) and in Google Shopping. This gives your ads the kind of boost that they need in order to drive sales. Local Reviews: Local Reviews are important, particularly for businesses such as restaurants and hair salons. 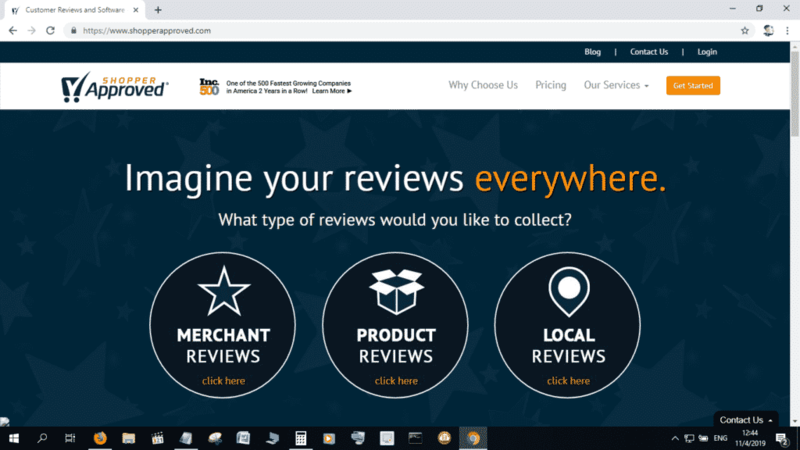 Shopper Approved offers the best way of collecting the reviews that you need in order to drive local traffic to your brick and mortar business. TrustPilot is another of the best known Review syndication companies that you are likely to come across out there. TrustPilot is one way through which you can help establish trust in your brand by collecting customer reviews and displaying them in a wide range of channels, including in Search, Social, Paid and offline Media. Trustpilot is great for large scale businesses. Get a demo from TrustPilot here! TrustPilot pricing plans start at $299 per month, which is paid annually. The company is, therefore, much more expensive than Shopper Approved. If you wish to get the Enterprise package, you will have to contact the guys at TrustPilot to get a quote. The company does, however, have a free version that you can use to check out the services that are on offer. Get a demo from Verified Reviews here! Get 10% OFF with our partner discount. And while you’re on the phone, ask for a 30 day free trial. There’s a cheesy video (with silly music) on their page, but it clearly explains what they do. LOL! Verified Reviews charges beginning at $99 per month, for which you get 400 reviews. This makes it one of the most competitive Review Syndication companies that you will be able to find out there at the moment. Talk to Maud (French girl out of France). She’s awesome. Feedback Company’s pricing starts at 69 Pounds per month, which is about $89.49 at the prevailing rates. As you can see, there are a number of companies that have been approved to syndicate seller ratings online. Choosing between them is a simple matter of deciding what it is that you are looking for and how much you are going to be willing to pay. This list is outdated. You all need to update it. Mike! On it. Thanks. Will update soon. It’s on the To Do List.